5D. The Fifth Dimension: Maidenstone #2 - A horror comic from La Baguette Noir Press. Maidenstone #2 - A horror comic from La Baguette Noir Press. Way back in the deep mists of time, well alright, it was May of this year, I wrote about a new horror comic that was seeing the light of day. Maidenstone was set to be the first in a series that takes place right here in gods own county within gods own country, the North East of Scotland. The link for that article can be found by scrolling through the list of delights within this blog - or you can simply go to it via the link RIGHT HERE. Maidenstone is a tale of folklore which has its roots in local legend and myth as it depicts the apparent re-emergence of an ancient and threatening force. It is a force which is once again beginning to cast its shadow upon both the remote landscape and the scattered population who inhabit it. The focus of the story is a young girl, Lucy, a child who throughout her childhood has found it hard to 'fit in' and whose emotional vulnerability has been further damaged by the recent death of her father. Lucy is unable to connect with either her 'drugged up' brother or in fact any of the people outside her family. She soon however finds herself drawn to a new arrival in the area, the charismatic Dylan. Just what are his intentions for Lucy and rest of this closeted rural community? In short, Maidenstone was a hugely enjoyable first edition, with crisp realistic dialogue from Chris Robertson throughout. In addition the cover art from Andrew Kelly is a thing of real beauty as well as the story art by Scott Beveridge, which has a gritty surrealist style all of its own that perfectly conveys a sense of the confusion, isolation and despair of Lucy. Now, there are some people who know me that would suggest that I'm easily encouraged by flattery, well there may be a slight element of truth in that I suppose. It has also been proposed by a few, who don't know me as well as they think they do, that I may extend that particular habit to this blog. In other words, "say something nice about me in your blog and I'll do something nice for you" Now that is something I can certainly deny, because I can say with all certainty that I only write about things that I like, that catch my eye, that float my boat.....you catch my drift? There may have been some who thought that my acquaintance with Chris and the rest of the Granite City Comic Con dudes meant that I was bound to give a favourable account of Maidenstone. Balderdash and poppycock I tell you. I may not have many personal scruples, but when it comes to this blogging lark, well it seems I do actually have a few. So when Chris contacted me earlier this week to say that the second instalment, the cunningly titled Maidenstone #2 had recently been released, well I was genuinely happy to read it and share my legendary insightful musings on here. The story (again cunningly) begins shortly after the end of the first edition, it's a crazy concept that I feel may actually one day catch on. The relationship between the new charismatic and enigmatic arrival in the area, Dylan and local girl Lucy is now becoming ever more serious. But what is his true motive towards not just Lucy, but also to her druggy brother? If this burgeoning intense relationship wasn't enough for Lucy to cope with, she also has to contend with the less than favourable treatment from some of her fellow school pupils. Is Dylan her salvation or is he actually her destruction? The front cover has the advice tag of 'Mature Readers', believe me this is well founded. If you're looking for a nicely comfortable escape from reality in this story then I'm afraid that you will be sorely disappointed. This is reality, supernatural reality maybe, but reality nonetheless. What we have here is another unrelenting slice of storytelling, the result of which is simultaneously disturbing and beautiful in its intensity. Chris Robertson's script is once again consistent in its crisp authenticity and is perfectly off-set by the intensely surreal artwork from Scott Beveridge as it captures Lucy's increasingly fragmented disengagement from reality. In fact, the intention seems to be that as Dylan's motivations become clearer, the artwork instead becomes ever more darker, intense and surreal. It all serves not only to perfectly convey the experience of the main characters (particularly Lucy), but also keeps the reader from ever feeling totally comfortable with the reading experience.....very clever. Each section of the book contains enough narrative and subtext to fill double the volume, with the segment of Lucy's tortured school experience which further feeds her sense of personal alienation being for me the most powerful part of the story. The first Issue was good, Maidenstone #2 is even better, I assure you. I read it in one breathless session late at night then proceeded to dream about the story. Sadly, my dream was in no way as surreally psychedelic as the comic. 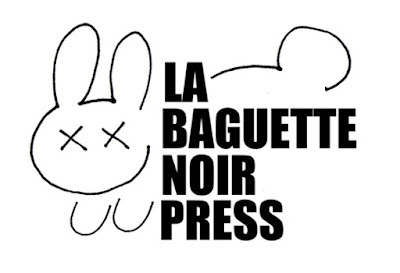 The Maidenstone series is only part of what is produced by Aberdeen's La Baguette. Here's a reminder of a few musings from them. 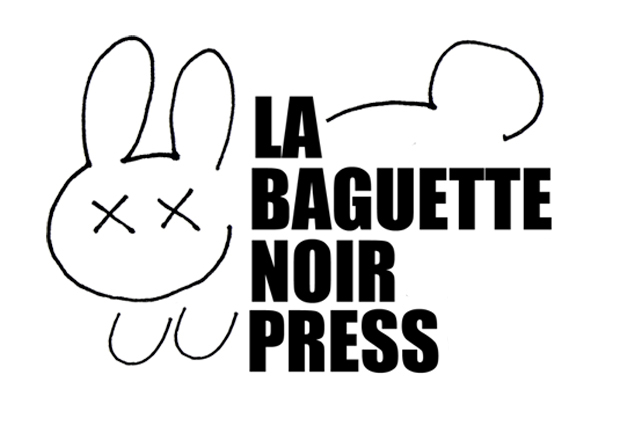 "Founded late 2011 by writer Chris Robertson and artist Greg Fisher, Baguette Noir initial focus was on our first publication – OLD WORLD ORDER. Since then we’ve produced three issues of that book, contributed work to other local publications and brought together Aberdeen’s local scene of creators. In 2013 we started to bring our madness to masses at a number of events, including MCM Glasgow Comic Con and Hero Conventions. As an imprint our aim is to bring readers an original thrilling mix of Science Fiction, Adventure, and Horror comics, with a healthy dose of weirdness. To that end we’re looking to get more people on board. If you have a great idea for a story; or if you’re an artist looking to hook up with a writer – get in touch. At the moment our back catalogue is small, but mighty. In 2015 we’re planning to continue the success of Old World Order, with issues #3 and #4 (featuring new artist Ewen Cameron! ), a new title called Maidenstone (out now! ), and the Silver City Comics Anthology, by local creators; as well as the debut book by writer Alex Giles, AND THEY COME! in July."